My engine malfunction light came on the other day. Fortunately, I had mobile access to the internet to determine the description of the problem from an error code chart. 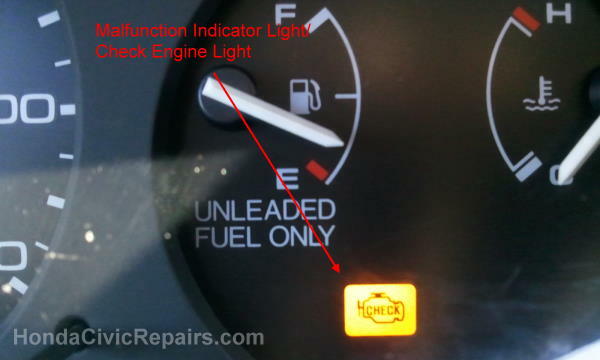 The Malfunction Indicator Light (MIL) came up with error 41 which refers to the Heated Oxygen Sensor. 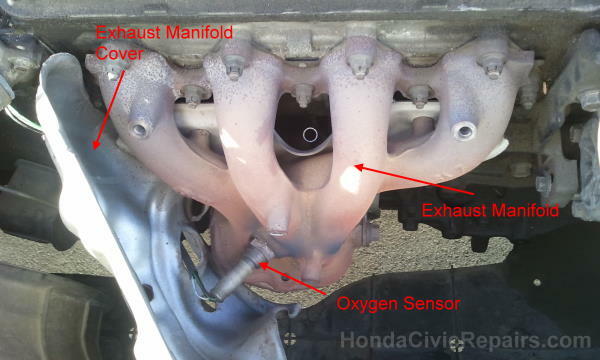 The Oxygen Sensor for the vehicle is conveniently located right under the hood against the exhaust manifold and is responsible for measuring the oxygen content after combustion so the onboard computer can make the proper adjustments for the fuel to air ratio. 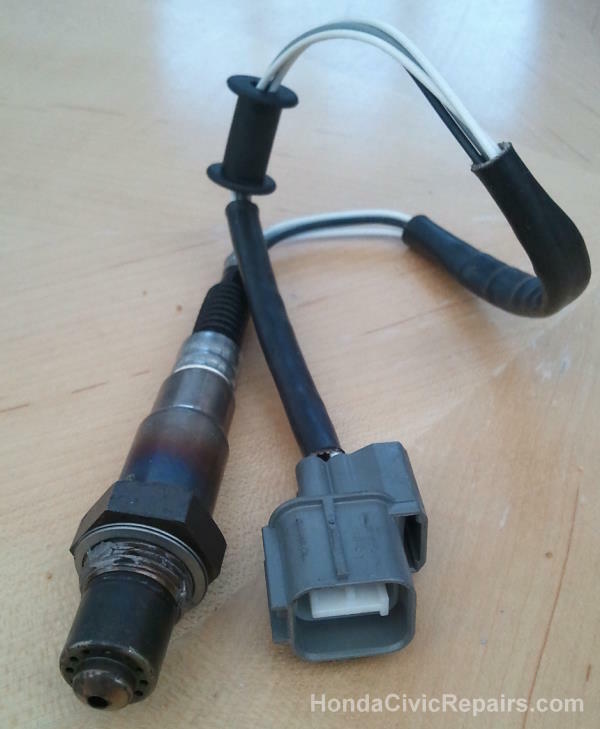 So after driving for over 260,000 miles, my original oxygen sensor finally failed but performed considerably well after a decade and a half of service. 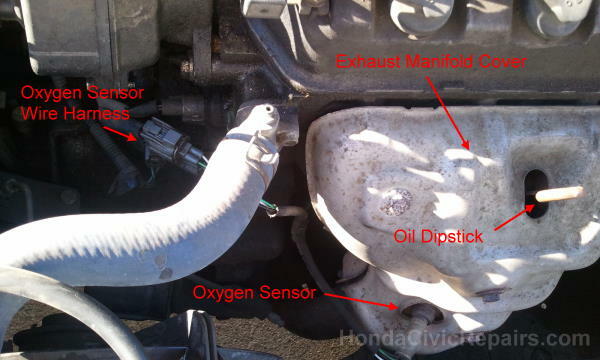 Since the worst case scenario for running on a bad oxygen sensor would be poor gas mileage, I was still able to drive to the nearest auto parts store to buy a new oxygen sensor. 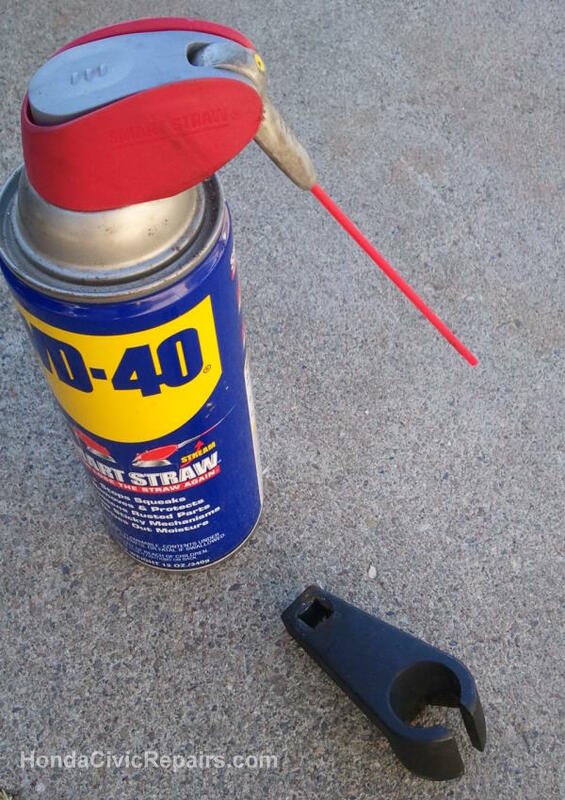 I needed my 22mm oxygen sensor flare wrench and WD40 lubricant to complete this easy job. 1. Released the bottom latch on the wire harness then released the upper latch on the wire harness to disconnect the wire connector. 2. Slipped out the wire from support frame. 3. Removed the 10mm bolts holding the manifold cover. 4. Removed the manifold cover though wire harness. 5. Used the 22mm oxygen sensor wrench while applying oil lubricant along the threads after every turn to loosen and remove the oxygen sensor. 6. 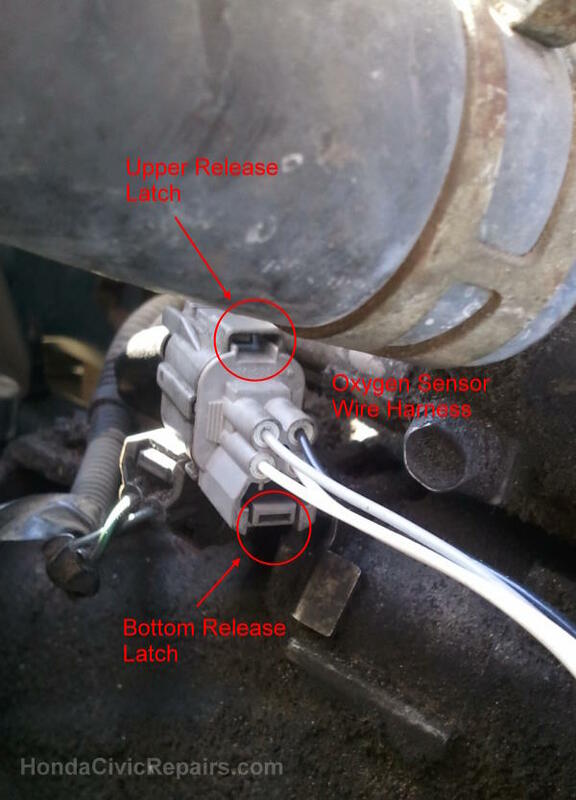 Installed and torqued the new oxygen sensor at 33 lbs/ft.